It has been so interesting to read and follow the around the world journey of Amelia Rose Earhart, the namesake of the famous aviatrix Amelia Earhart whose 1938 voyage ended when she and her co-pilot went missing. Amelia Rose for several years had been the traffic reporter on a local television station here in Denver. She learned to fly with the goal to follow in Amelia Earhart’s path, but to complete the entire trip. Aviation technology has changed but the basic’s remain the same. Well, meet Violette Selfridge de Sibour who went around the world in 1928 with her husband in an open cockpit Gypsy Moth. Violette de Sibour and Vicomte Jacques de Sibour with their Gypsiy Moth airplane named Safari. Violette Selfridge de Sibour was a woman who demonstrated great courage, fearlessness, enthusiasm and adventure by joining her husband in a 10,000 mile vagabond journey around the world in a Gypsy Moth. 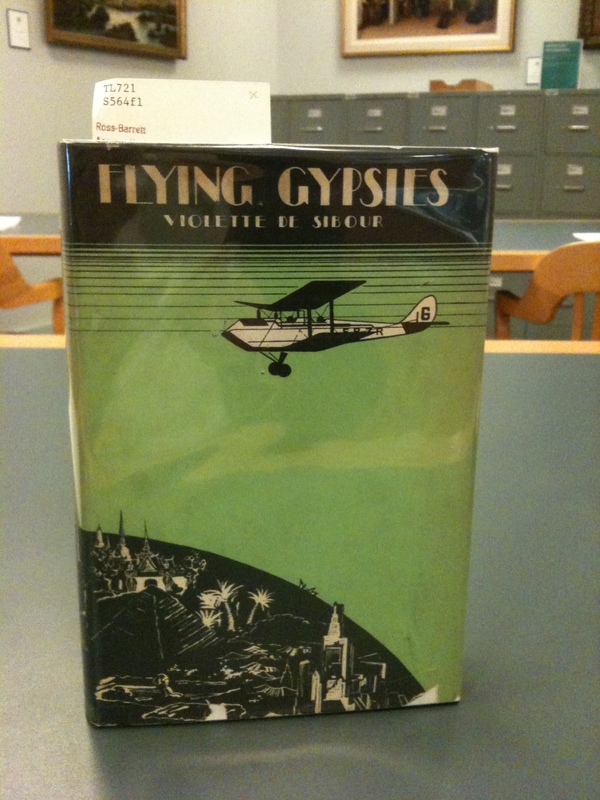 Violette de Sibour chronicled their 1928 journey in the book she wrote, Flying Gypsies, published by G.P. Putnam, The Knickerbocker Press, in 1930. 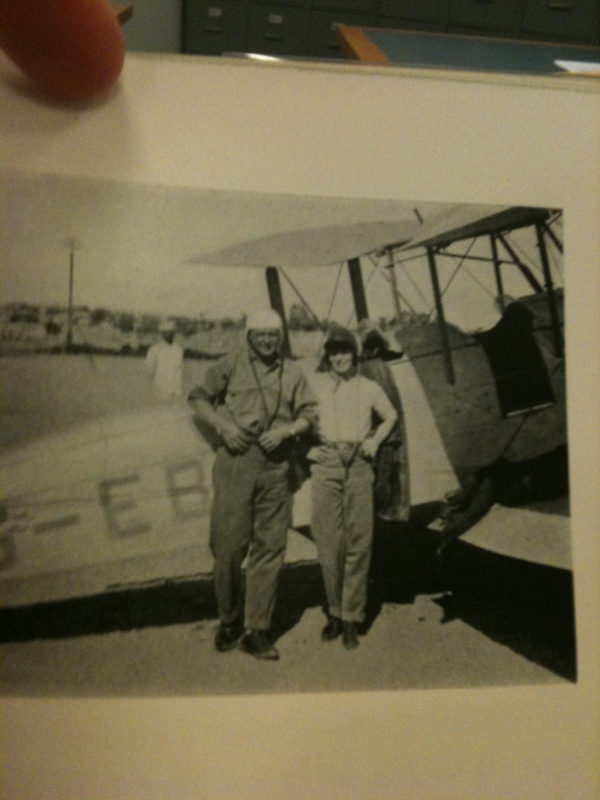 George Putnam was the husband of Ameilia Earhart. The couples had become close friends. Violette Selfridge was the second daughter of Gordon Selfridge, founder of the Selfridge Department store in London, England. Once Violette described their adventure to fly around the world to the family, little support was forthcoming. The de Sibours kept their plans and enthusiasm to themselves rather than be discouraged by friends and family. Violette and Jacque de Sibour obtained the much needed maps from Stanford’s Map Shop in Trafalgar Square to plan their journey. 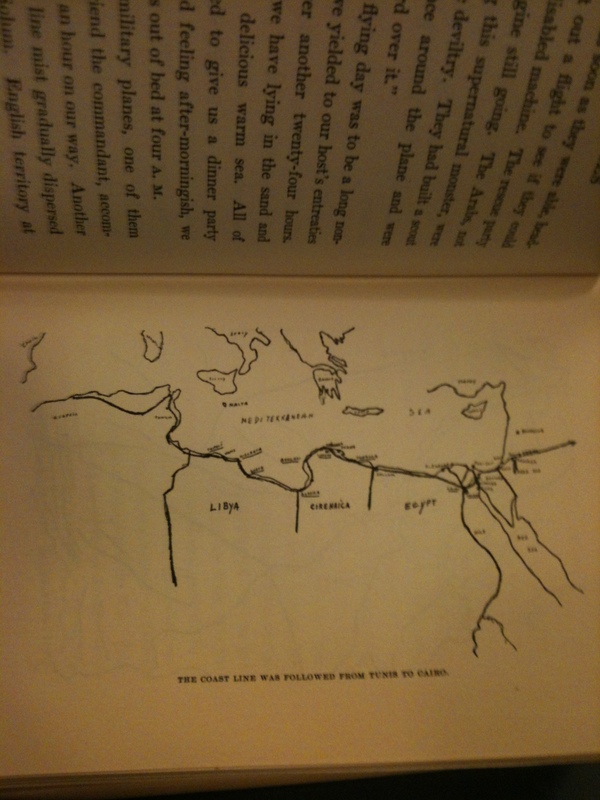 They chopped the maps into bits, pasting together those only which concerned them. Jacque marked the route, together with distances, wind variations and general information obtained from the different air ministries here and abroad. He spent hours with compasses, encyclopedias and naval charts. He studied wind and climates off various countries and discovered that it would be difficult to return the same way they went. They determined they would have to go by steamer across the two big oceans. The Gypsy Moth was disassembled and then re-assembled when they arrived at their coastal destination. They set their departure date for September 14, 1928 from Stag Lane Aerodrome. Jacque had been at the aerodrome all morning with friends waiting for the silver and cobalt plane to emerge with the freshly painted letters. a hurried goodbye , a swing of the propeller and they were off. One complete beige sport suit, consisting of skirt sweater and sweater coat. A sleeveless beige summer frock and wide brimmed felt hat. A black lace evening dress and black fringe shawl. Two paris of shoes and one pari of silver slippers. Two complete sets of loungerie and half a dozen pairs of silk stockings. She decided to fly in trousers since the plane had duel controls. That means a stick that sits right between your knees. And, remember this is an open cockpit plane. Her husband had his dinner jacket, a pair of soft black patent leather shims, three white silk shirts and of course collars, socks and so forth. His packed clothing weighed two pounds more than hers. They packed clothing and toiletries in three oilskin cases. The third case was for their joint toilet articles. 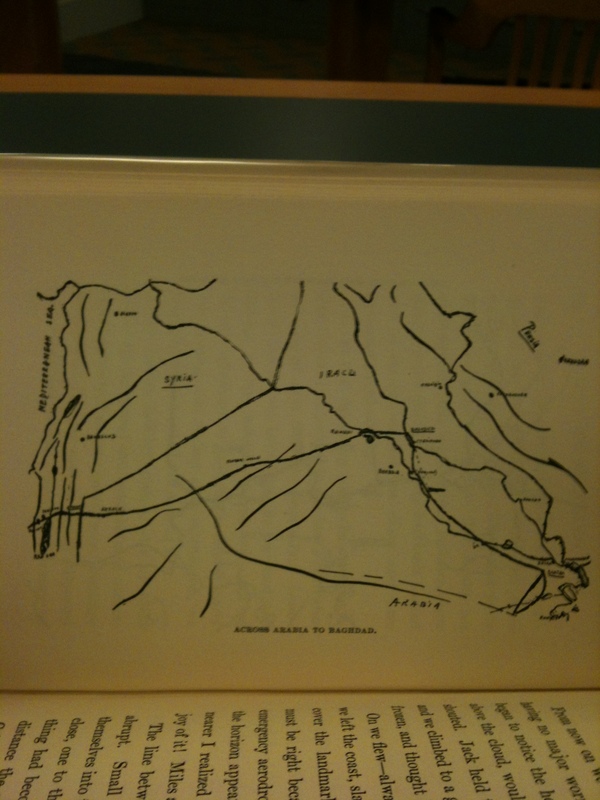 Route across Syria, Iraq and Arabia. 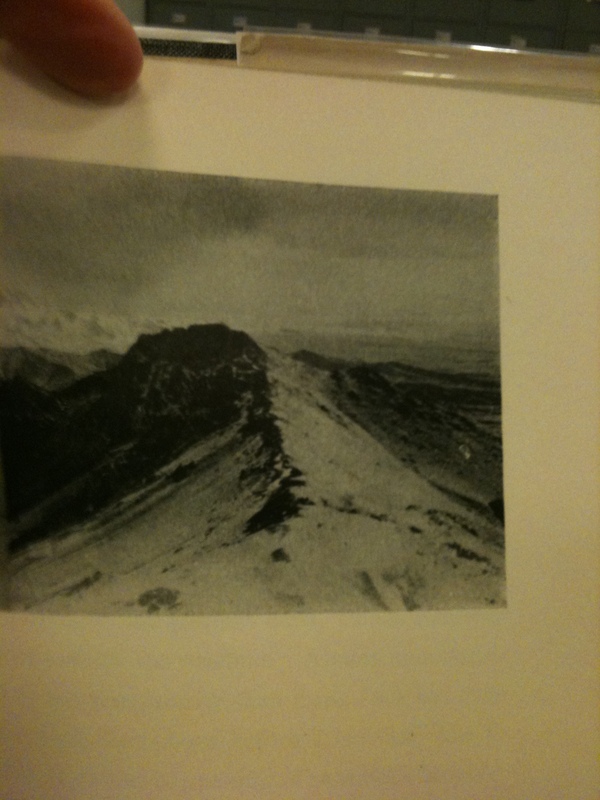 Pictures are from Violette De Sibour’s book Flying Gypsies. 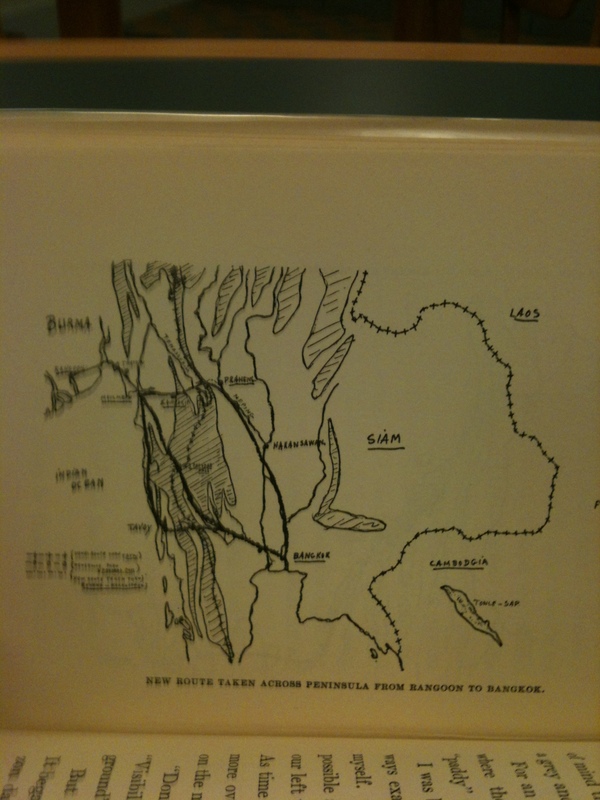 Descriptions are also from her book which I found at the Denver Public Library in the Western History and Genealogy Department. This entry was posted in Travel and tagged adventure, Amelia Earhart, Amelia Rose Earhart, aviation, aviators, aviatrix, di Sibour, Flying Gypsies, Gypsy Moth, Selfridge, Travel, vagabonds, Violette de Sibour. Central Library in Denver has a copy. But they don’t lend it. Check your local library’s WorldCAT to see if there is a library near you that has it. You might try Amazon, I think I saw a used book on sale there when I did this story. My husband was familiar with her husband, but I thought her story was fascinating.